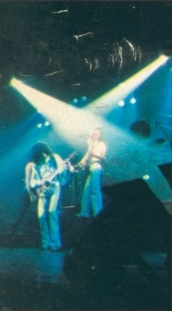 The band took a break from recording their fifth album, A Day At The Races (still untitled at this point), to play four shows in the UK. 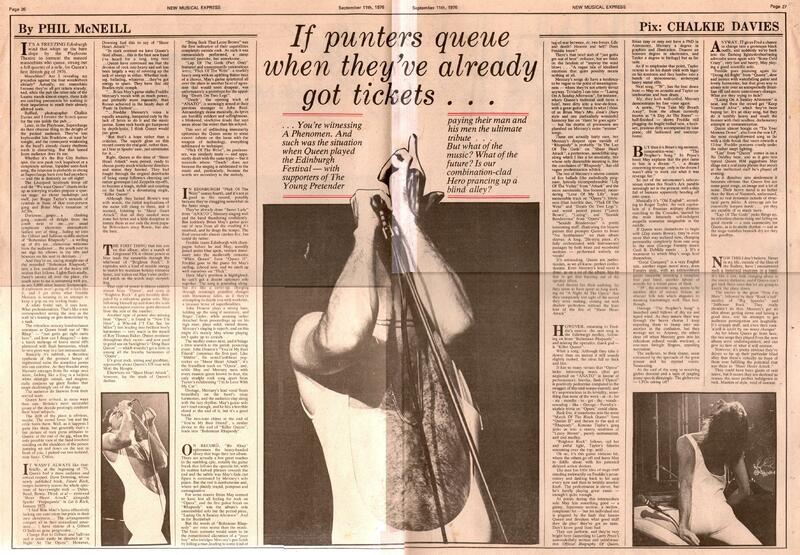 The two nights in Edinburgh are part of the "Festival of Popular Music," and are essentially warmup gigs for the big Hyde Park show in a couple weeks. 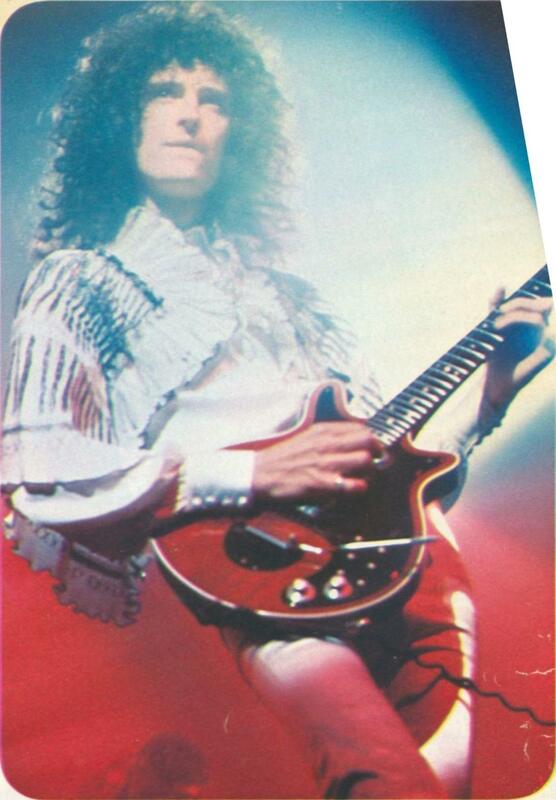 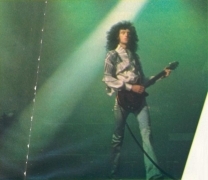 According to an article from the July 31, 1976 Melody Maker, Queen were initially scheduled to play on August 20 and 21, but likely couldn't commit to those dates because they were busy with the A Day At The Races recording sessions. 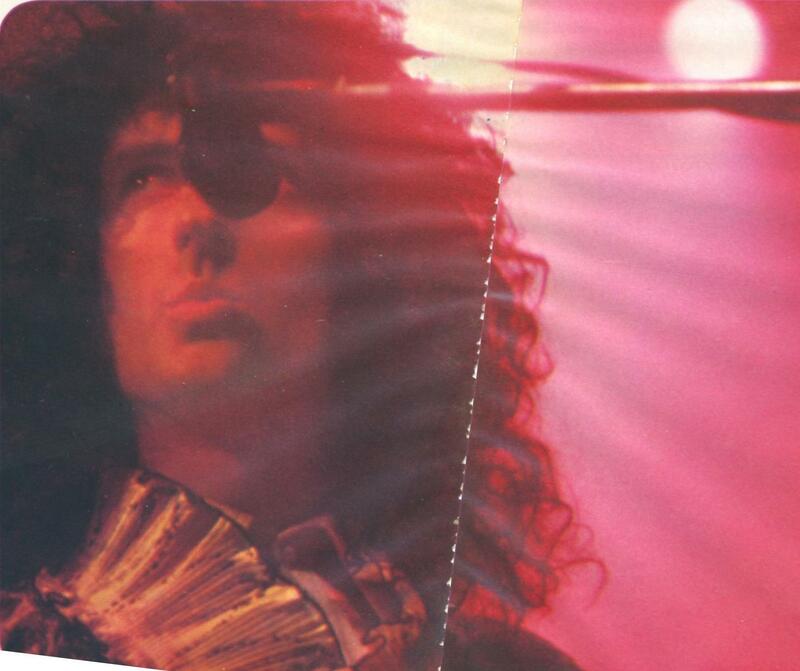 Many thanks to Rob Schoorl for the clipping. 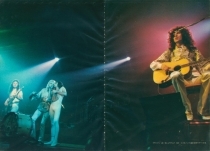 Here we have the first known live performances of You're My Best Friend, '39, You Take My Breath Away and Tie Your Mother Down, the latter two notably being played months before the album versions would be released. You Take My Breath Away in concert would be an abridged version with just piano and vocal. 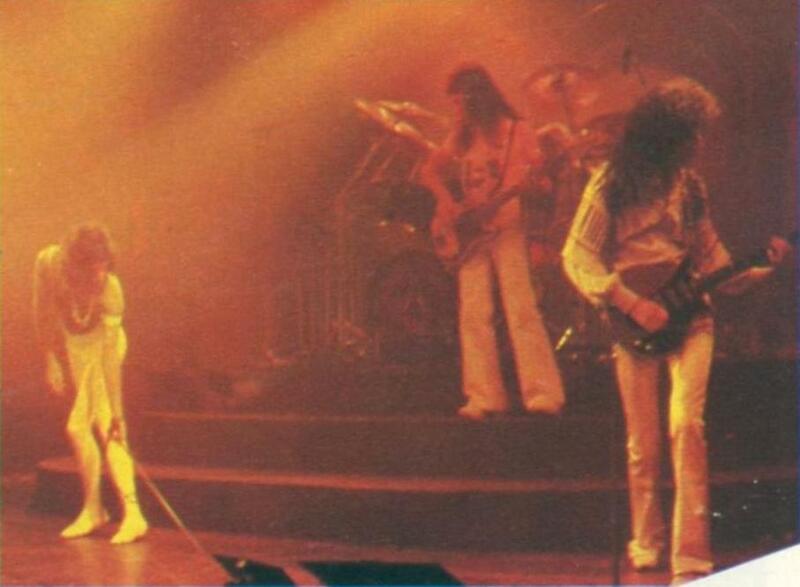 Its short life on stage would end at Earls Court '77. 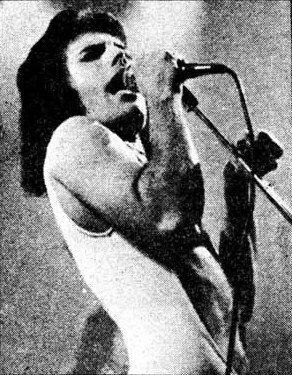 These 1976 versions would find Freddie singing it similarly to the record version, leaving many of the falsetto parts intact. 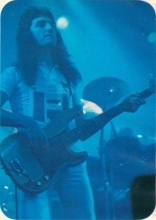 Next year he would rearrange the melodies to suit his chest voice, as he would often do for songs in the concert environment. 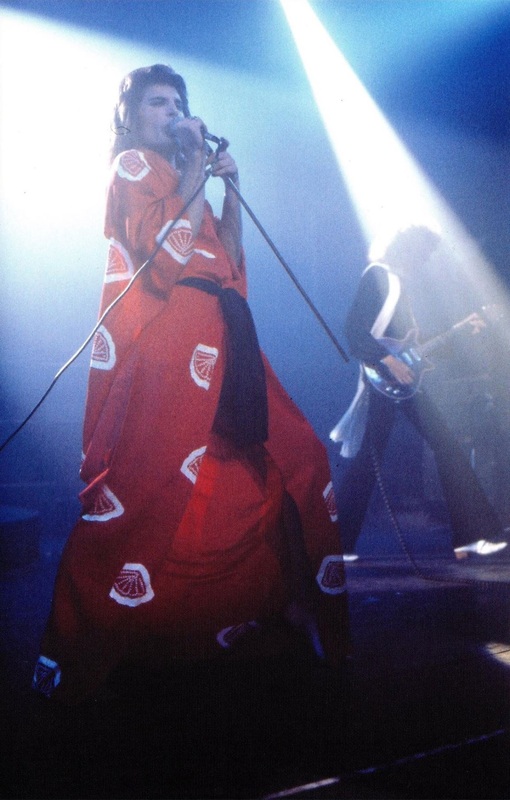 Tie Your Mother Down would become a live favourite, as it would be performed at nearly every concert through 1986, always near the beginning or end of the show. 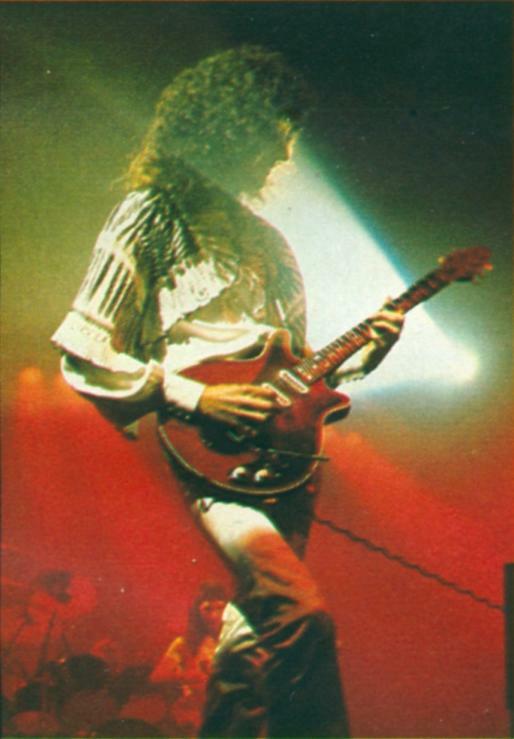 Brian May once described it as being one of those guitar riffs that could save the show in any given situation. 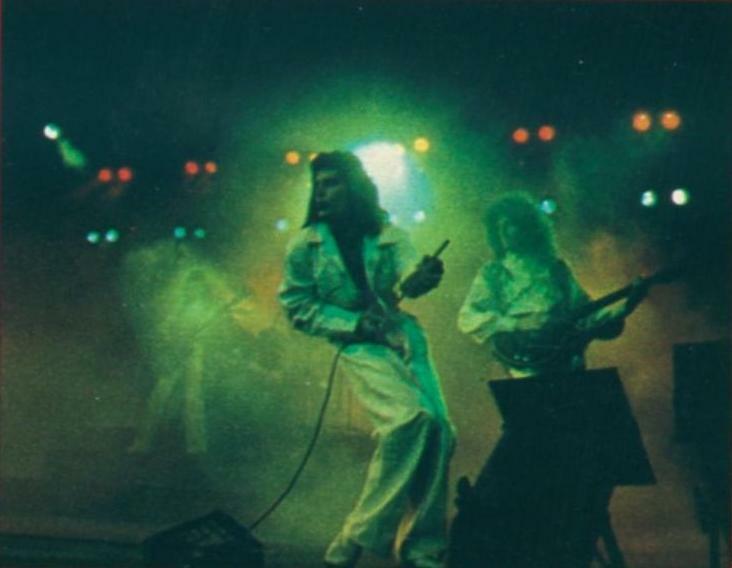 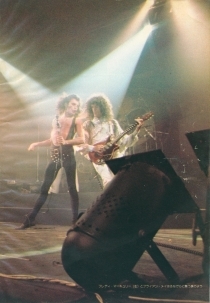 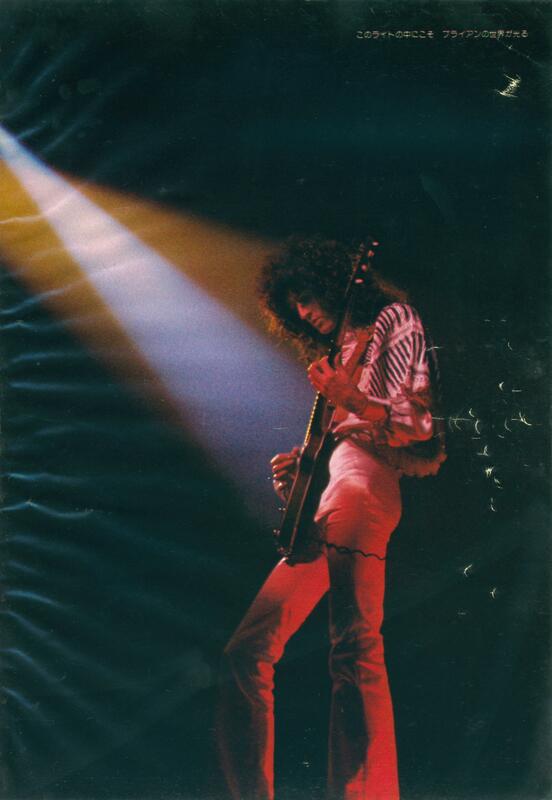 In a 1976 Circus article, Mercury reveals that the song was performed live before he laid down his final vocal to tape (although he mistakenly says they performed the song at the Hyde Park show). 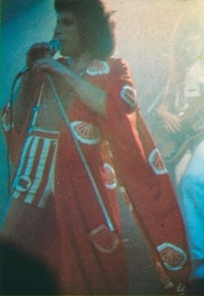 '39 would soon become a fun piece for the band to play live, unlike the more serious studio version on A Night At The Opera. 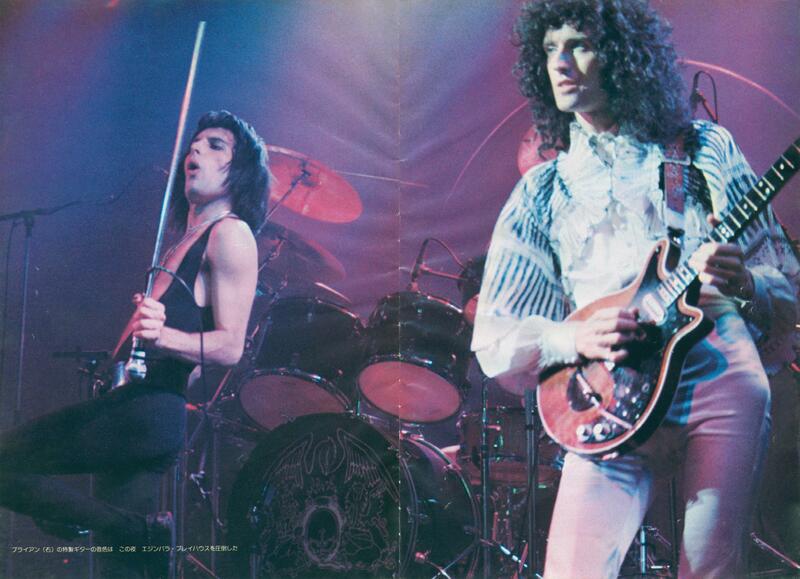 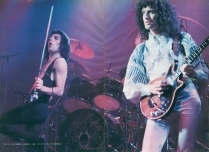 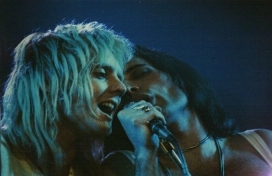 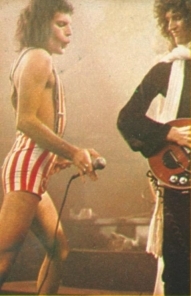 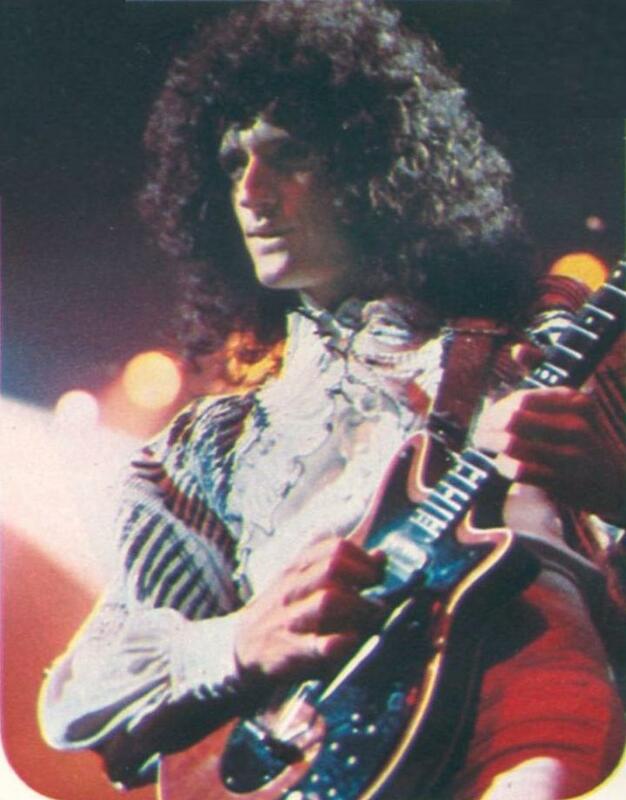 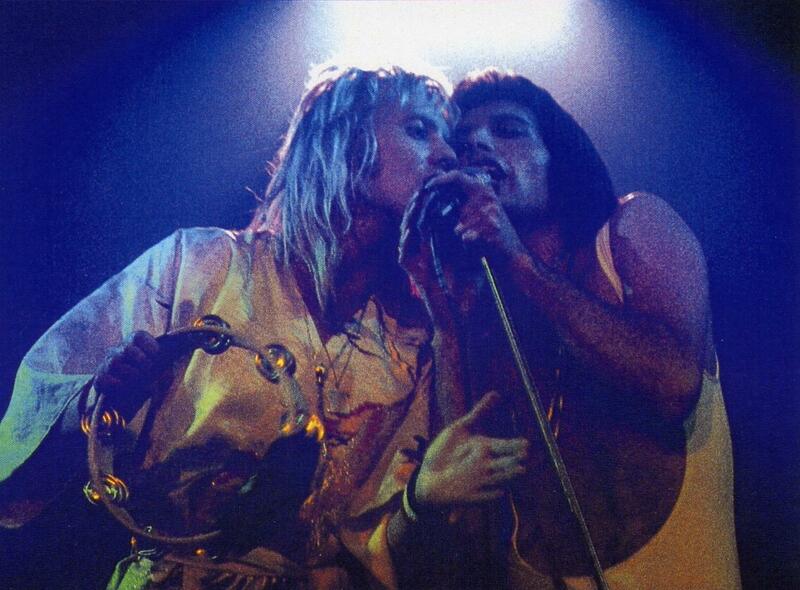 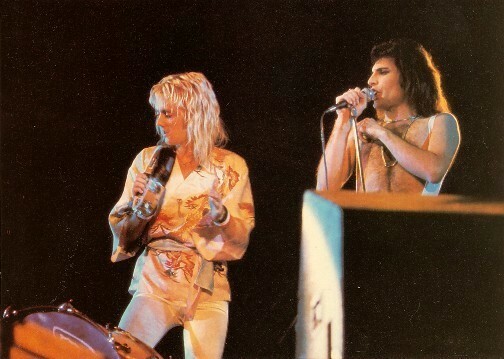 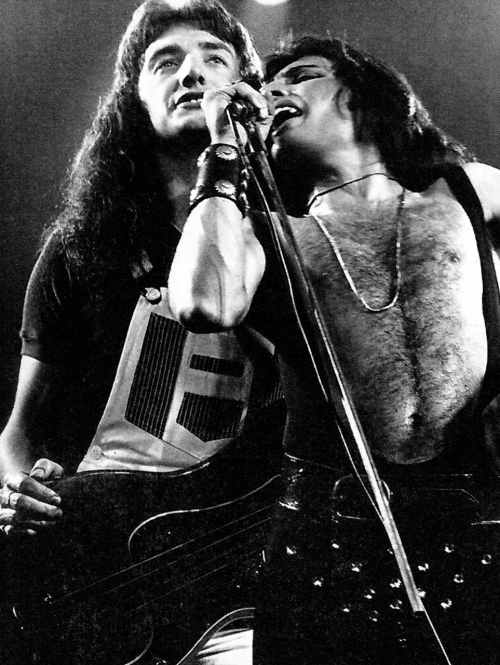 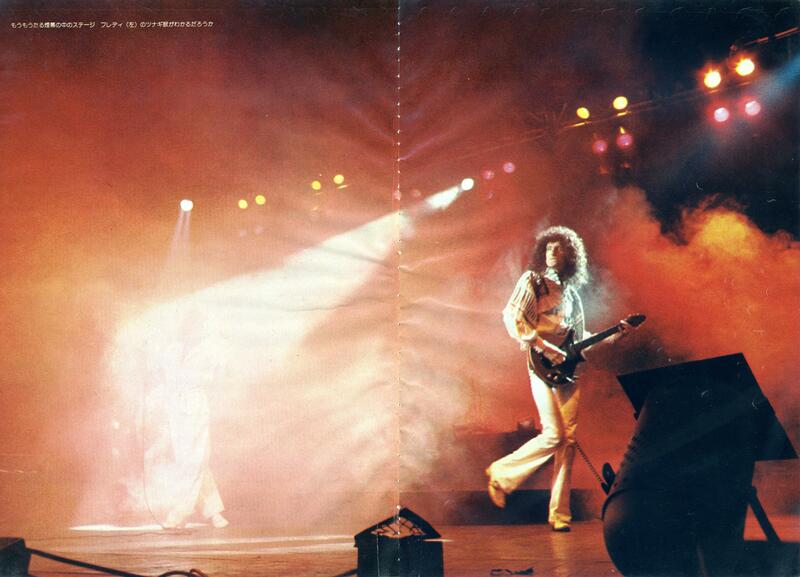 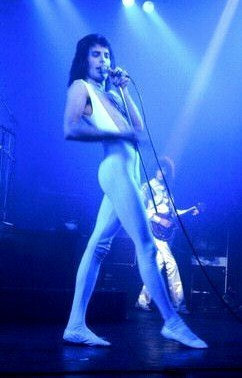 Although Brian is the lead vocalist on the album, Freddie sings the song on stage. 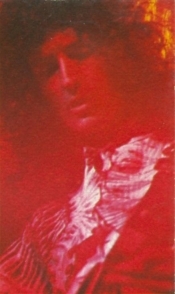 '39 would always be played at the front of the stage, as depicted in the inner sleeve of the A Day At The Races album (the picture was snapped the next night in Edinburgh). 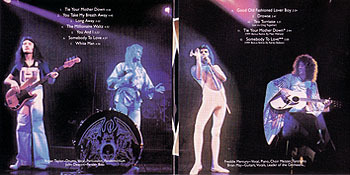 The song would be heard at virtually every show through 1979, with the occasional later reference. 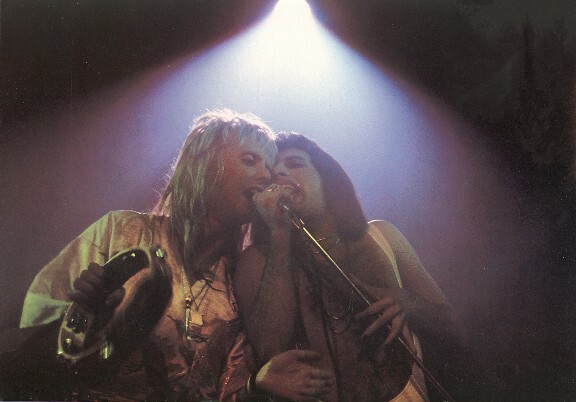 You're My Best Friend would be heard at virtually every show through September 1980. 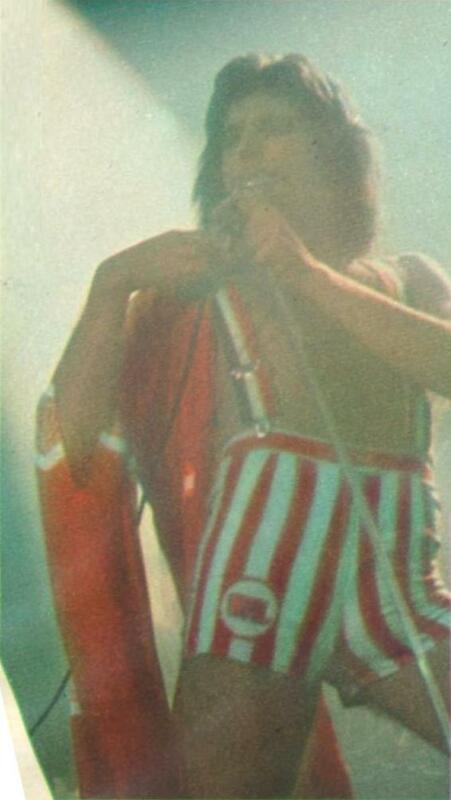 It would always be a shortened version with the second verse excised. For these first few live airings in 1976, it would be tagged onto the beginning of the medley. 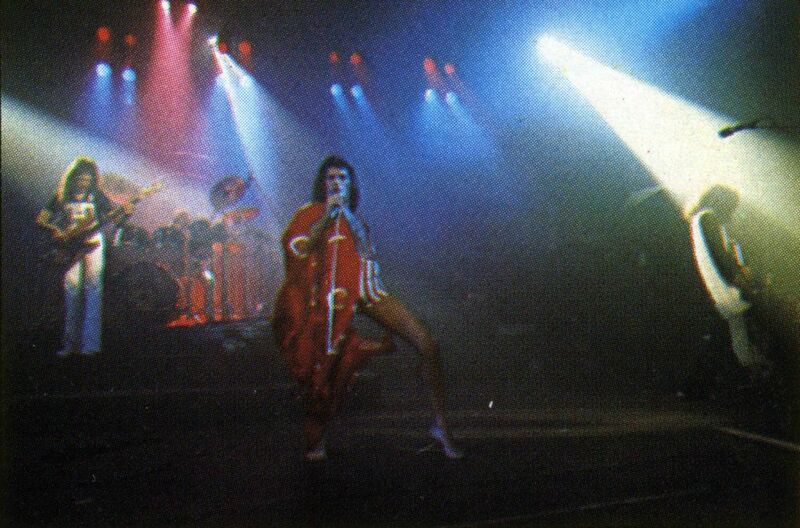 This is the first show where Freddie is seen in his white "Kermit" costume. Roger Taylor would later refer to it as such, as a green light was shone on Mercury at some point during the show. 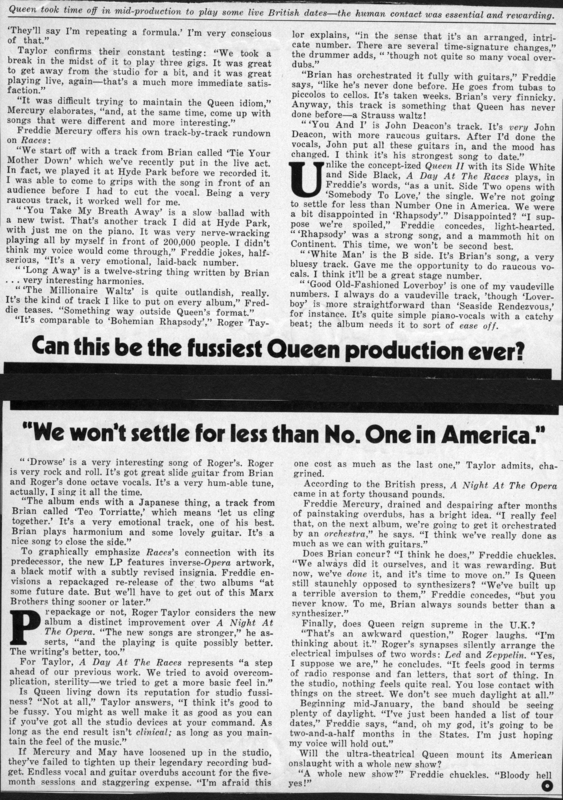 Here is an article from the September 11 NME, clearly written by someone who isn't a fan of Queen's work, picking apart their latest two albums and this concert. 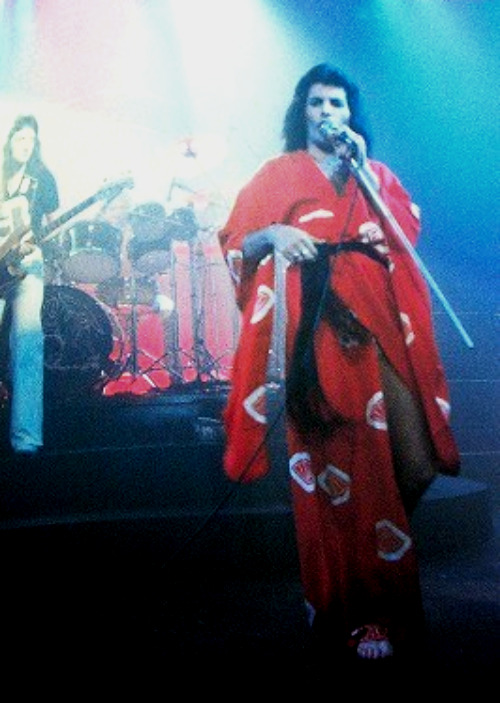 The second set of pics (which could be from either night in Edinburgh) were taken by Hiro Ohno. The last row of pictures could be from any of the four September shows.